Huey Lewis and the News, the band that soundtracked much of the 1980s, will return with a new album in 2019. The group has signed with BMG, the company announced today (Jan. 18), setting the stage for the tenth studio album and the first time they’re releasing original music in 18 years. 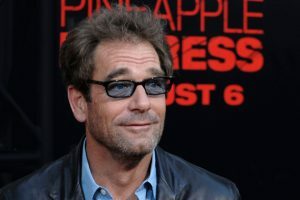 Huey Lewis and the News members include Lewis (vocals and harmonica), Johnny Colla (saxophone, guitar and vocals), Bill Gibson (drums, percussion and vocals), Sean Hopper (keyboards and vocals), Stef Burns (guitars and vocals) and John Pierce (bass) along with a horn section featuring Rob Sudduth (tenor saxophone), Marvin McFadden (trumpet) and Johnnie Bamont (baritone saxophone).